Details Prussian blue, discovered in 1704 or 1705, is generally regarded as the first of the modern colors. In truth it is something of an anomaly, appearing well before the blossoming of chemistry as a science in the late eighteenth century. Like so many other innovations in color, it was the result of a serendipitous accident. A Berlin-based color maker, Heinrich Diesbach, was working in the laboratory of the alchemist Johann Konrad Dippel, and in the course of preparing a red lake pigment, Diesbach asked Dippel for some potash (a potassium alkali). Presumably to economize, Diesbach requested a batch of potash contaminated with oils prepared from animal blood. It was a false economy, for his pigment turned out very pale. Attempting to concentrate it, he succeeded instead in turning it deep blue. He had no idea what had transpired, but was astute enough to recognize the blue material as a potential pigment in its own right, and was soon manufacturing it according to a jealously guarded recipe. 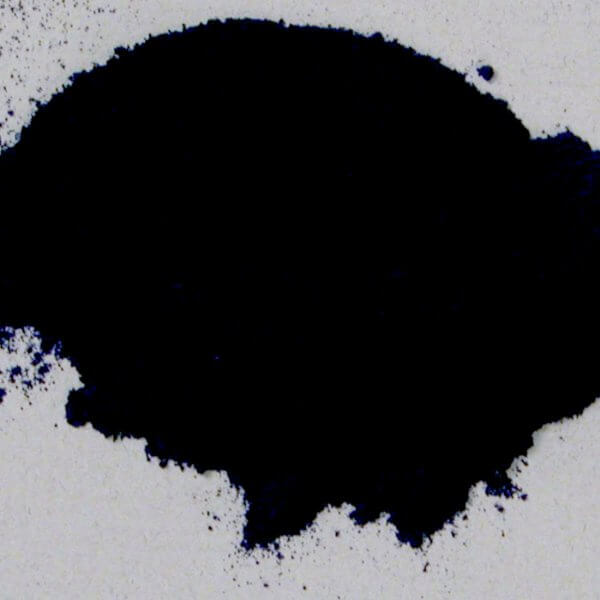 Iron blue was first mentioned in 1710 in a Latin text written by an unknown author and its properties were described in a reference from 1726. It is said to have been discovered by the chemist and painter Diesbach in 1704, but other sources mention the chemist Johann Conrad Dippel, for whom Diesbach worked. The first mention of its manufacture was by the English chemist John Woodward in 1726. Potash and ox blood were heated until they glowed and then subsequently boiled with rainwater. The "blood lye" obtained in this way was heated together with a sulfate and alum. This produced a green intermediate product, also called "mountain green" or "crysocollage green." The material was then washed and filtered. After a treatment with hydrochloric acid, the product eventually turned to a deep blue color. It was particularly valued for mixing light blues, and appears in skies by Watteau, Canaletto and Gainsborough. Our Prussian blue is made according to the process originated by the French colormarker, Milori & Company, Lyons, France. 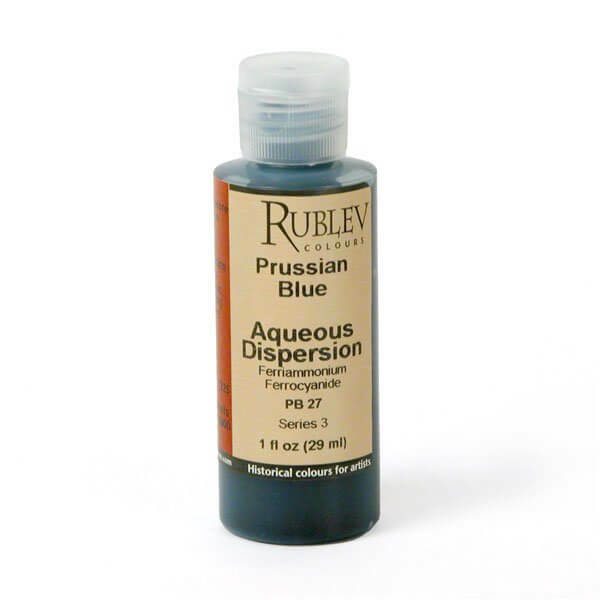 Prussian blue verditer is stable in weak acids, but is decomposed by weak alkalis, so it is suitable for oil, encaustic (non-emulsified type), egg tempera and watercolor, but not fresco and casein. Prussian blue is not considered toxic, however, care should be used in handling the dry powder pigment to avoid inhaling the dust.